JUUL CBD Review: How Does it Measure Up? What was once a very much taboo subject that was locked away in secrecy, cannabis consumption is now a mainstream entity within society. But, it may still surprise you to hear that the legal and recreational cannabis industry has a revenue of between $5.8 billion to $6.6 billion which tops the sales of organic produce and Oreos combined. What’s more, the legal marijuana industry is estimated to be worth $146.4 billion by 2025. But, it should come as no surprise really when you look at the bigger picture of cannabis. Cannabis isn’t only easy to consume, but it’s also gaining a lot of support for the various health benefits that it provides. The great thing is that, thanks to products like CBD oil, people who use cannabis can get the health benefits without the associated high. While CBD and THC are grouped together by everyday people, those who have done their research and are in the know about cannabis, understand that only THC can make you high. As CBD continues to rise in popularity thanks to its associated therapeutic effects, users are being presented with many different brands and ways in which to consume it. One company who is out there making a difference is JUUL Labs. In this complete JUUL CBD review, we take a look at who JUUL labs actually is, what they have to do with cannabis, and what all the hype is about. JUUL CBD Review: Who is the Company? Before we get to exactly what JUUL CBD is, we need to take a look at the company behind the invention; JUUL Labs. They are an electronic cigarette company that was established in 2017. 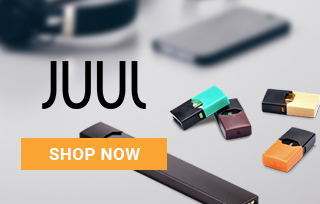 They make JUUL e-cigarettes, which were first introduced by PAX in 2015. JUUL Labs was co-founded by James Monsees and Adam Bowen when they used their background in product design to try and find a true alternative for smoking. They had both been smokers for years, and when they couldn’t find any acceptable alternative to cigarettes, they recognized that there was a real need for an alternative that would offer a nicotine level that wasn’t present in any other design on the market. It would also need to invite its own ritual – and the result was JUUL. 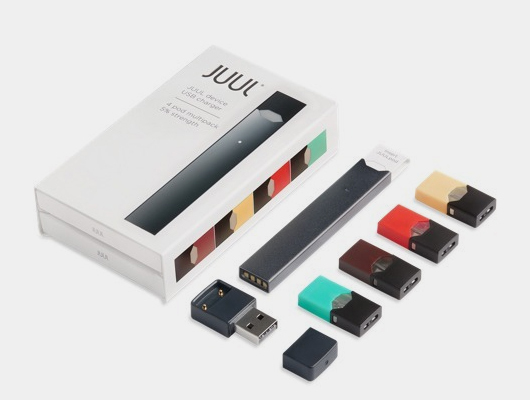 JUUL Labs are based in San Francisco and have created an easy-to-use device that comes with flavored pods which contain 5% nicotine with an aim to help smokers quit. In the United States, they hold over 70% of the e-cigarette market, and the popularity of JUUL as a brand has helped to change the entire landscape of the industry. Pod systems quickly became the most sought-after vaping products, and vape companies began adapting the discreet hardware design of the JUUL into their own product lines. These devices are very popular on the market because they are simple, easy-to-use, and discreet. Most of the pods are available in assorted flavors. The hype that surrounds JUUL and its pod devices will no doubt have a positive impact on the CBD market in 2019. CBD pods are definitely something to look out for this year. Naturally, this all comes down to the therapeutic benefits of CBD. CBD has become very popular over the last few years, and a big reason for that is because the Food and Drug Administration (FDA) approved a drug that is derived from CBD to treat a rare form of epilepsy. However, the increasing usage of CBD extends far beyond epilepsy. From chronic pain and migraines to anxiety and mental health issues, as well as a range of other benefits, CBD has something to offer everyone. But, one of the biggest revelations when it comes to the JUUL and adult smokers, is that CBD could help to curb the smoking habit. According to a 2013 study that was published in Addictive Behaviors, CBD oil demonstrated great signs of the ability to reduce smoking rates by up to 40% in people who were active smokers. There have also been a few other studies done that have very similar findings. With research like this offering hope to people who use tobacco, the available options to use CBD through tools, such as the JUUL vape pen has an incredible upside, with very little to no downside. This is one of the main reasons why CBD JUUL pods are attractive to so many people. 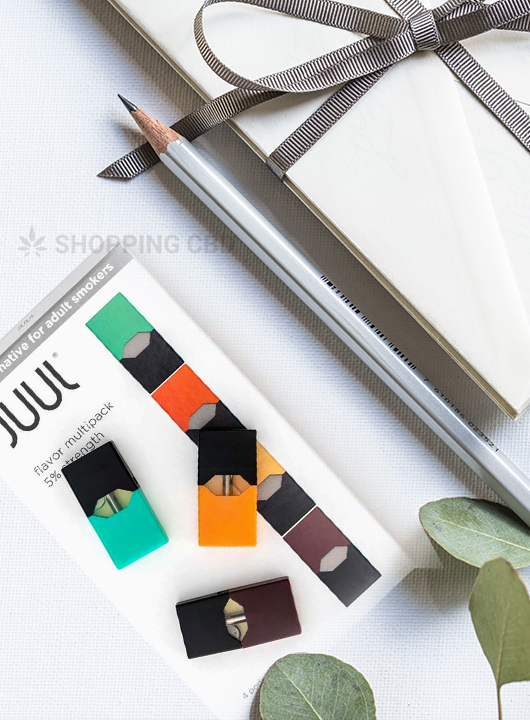 For those who are regulars in vape shops and enjoy hemp oil that is derived from the highest-quality hemp plant, the CBD JUUL pods are a breath of fresh air. People’s hard earned money is already being spent on a JUUL, and it’s unnecessary to have to spend more money to enjoy the benefits of CBD. Keeping this in mind, filling CBD oil into the pods is a real game changer because of the refill issues, among other things. Of course, the CBD JUUL pods are compatible with the JUUL device. Another great thing about the CBD JUUL pods is that they have the highest quality, just like the original nicotine JUUL devices. If you’re wondering who the CBD JUUL pods are for, the obvious answer is that it’s for everyone who already has a JUUL device. But, vaping CBD has many benefits to your body, brain, and overall lifestyle. The ability to boost your endocannabinoid system should be overlooked. Up until recently, the JUUL wasn’t a multi-purpose device like a lot of other vapes on the market. To use it you needed to purchase the original nicotine-filled pods which were (and still are) far from being cheap. Another problem was that the pods would regularly sell out because the JUUL manufacturers didn’t anticipate the popularity of the product. They still sell out these days, but we have a sneaky feeling that this is a savvy marketing tactic to keep prices high. But, the predominant issue with the JUUL is that it is a true closed-system vape device. What this means is that the pods are designed in such a way that any sort of tampering with them will cause leakages if reused. There isn’t an easy way to refill a JUUL pod (with CBD oil or vape juice) without the risk of some or other mishap. Since the company hasn’t announced any plans to expand to the CBD market, vapers who are also CBD users aren’t able to use the JUUL for dual purpose. Hempzilla CBD Juul: Available in four different flavors; Berry Wild, Natural Hemp, Strawberry Creme Gelato, and Tango Mango each with a strength of 300 mg, these come in a pack of two and contain full-spectrum CBD. Calm pods for Juul: These come in eight different flavors; Blue Dream, Gelato, Girl Scout Cookies, Grand Daddy Purple, OG Kush, Sour Diesel, Super Lemon Haze, and Trainwreck. The kit includes two calm pods and can be purchased in CBD strengths of either 50 mg, 100 mg, or 200 mg.
Airbender Juul compatible: You can buy these in four different flavors; Mint, Original, Sweet Melon, and Lemon Bar and each of them have a strength of 200 mg. You will get one pod cartridge per pack and should get approximately 250 puffs per cartridge. JGO CBD vape pods: You will get 375 mg of CBD packed into a 0.6 ml pod. Each cartridge should produce approximately 200 puffs and deliver about 1.9 mg of CBD per inhalation. It’s available in four flavors; Berry Blast, Fruit Loop, Mango, and Watermelon Bomb. JGO+ Terpene Vape pods: You will get 425 MG of CBD packed into a 0.6 ml pod. Each puff should deliver about 2.1 mg of CBD per inhalation. This one is available in the following flavors; Gelato, Girl Scout Cookies, Grand Daddy Purple, and Pineapple Express. Calm pods for Juul: The 50 mg 2-pack goes for $29.99, 100 mg 2-pack will cost you $49.99, and the 200 mg 2-pack has a price of $69.99. You can choose your flavor for each. Airbender Juul compatible: The price ranges between $19.99 to $94.99 depending on how many cartridges you want. You can get 1, 3 or 5. Nicotine salts, along with other similar tools were once the go-to products to help people to curb their tobacco addiction. But, one of the newer and more effective ways to help quit smoking is JUUL CBD. While trends come and go, it seems that CBD is here to stay, especially because it is showing incredible medical benefits that are backed by research. For this reason, we’d have to go ahead and recommend this wonderful new product based on our JUUL CBD vape review. This is a revolutionary smoking cessation aid that’s easy and convenient to use, and it’s somewhat of a no brainer to curb one’s smoking habit. And, of course, it’s a no brainer for those who already enjoy JUUL CBD and its therapeutic benefits. The JUUL wesbite always feels so professional and clean-cut. Definitley my favorite place to buy vaping products, and the 'Glacier Mint' flavor is epic. Clayton from Ashburn just bough! Selena from Ashburn just bough! Rosalie from Ashburn just bough!